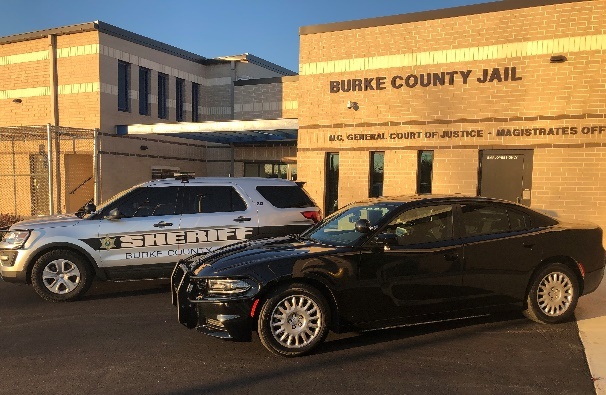 The Burke County Jail, commonly referred to as the "downtown jail," is housed in the first floor of the Burke County Courthouse, approximately 2 1/2 miles from the Sheriff's Office. The downtown jail has a capacity of sixty inmates and is used mainly to hold male prisoners over the age of eighteen. A Lieutenant and two Sergeants supervise fifteen jailers and seven court bailiffs. The Burke-Catawba District Confinement Facility is housed in the same building as the Sheriff's Office however it is a separate entity from the Sheriff’s Office. It is governed by a Board of Directors and the Board designates an administrator to oversee the facility's day-to-day operation. Burke County mainly uses this facility to house females, juveniles aged 16-17, "hold until sober" intoxicated persons, and certain high control inmates due to the availability of two padded cells. It is also utilized when the downtown jail exceeds its capacity of inmates. For more information please visit their website or contact the facility directly at (828) 764-9583.